I entered the Texas Foster Care system when I was eight years old. I could not imagine the winding road life had in store for me. Once I turned 18 and graduated from high school, the foster care system released me. I had “aged out”. Before exiting foster care, my Child Protective Services Case Worker helped me apply for a Section 8 voucher. I found out that Texas Child Protective Services (CPS) had an agreement with the Dallas Housing Authority to give priority status to families and youth that encountered the child welfare system. For two months though, I slept in my car and on couches, moving from place to place, trying to survive and keep myself safe. However, once I got my voucher, I was finally able to breathe. The voucher gave me the flexibility to find an apartment in the community of my choice and begin to achieve stability. Soon after moving into my apartment, I found out about the Family Self-Sufficiency (FSS) program. When I enrolled in the program, they assigned me a FSS Coordinator who helped me to create a five-year plan that covered my personal and professional goals. As my rent increased after earning higher wages, the FSS program matched a portion of my rent with a monthly credit into an escrow account, which I received upon graduating from the program. Receiving a Section 8 voucher and participating in the FSS program was what I needed. I attribute much of my foundational success to the Dallas Housing Authority and the FSS program. They gave me the opportunity to gain stability and enough time to make my transition to self-sufficiency. While staying goal-oriented and self-driven throughout the program, I was able to complete my bachelor's in Social Work from the University of Texas A&M-Commerce and also gain long-term employment. Shortly after gaining long-term employment, I went back to school and received my Masters in Social Work from Texas State University and I now have a home that is my own. I have participated in and facilitated discussions with the Dallas, Fort Worth, and Austin Housing Authorities encouraging them to either expand or institute an FSS program for youth aging out of foster care. I have promoted the FSS program model at national conferences and was an invited speaker at the Dallas Self-Sufficiency graduation. Today, I work at YouthBuild as a liaison between the housing authority, the community, and the educational system. We have an MOU with Housing Authority of Austin to work with at-risk youth who reside in their public housing properties. The goal is to re-enroll them in school, help them remain in school and provide them with job readiness skills, and encourage them or their parents to join the FSS program. My hope is that one day, youth exiting foster care will not have to couch surf or put themselves in compromising situations because they do not have access to housing of their own. My wish is for every transition-age youth to have priority status and live in a safe, stable, and affordable long-term housing situation. I want every youth to have the same opportunity to realize their educational, employment, and housing goals. That’s why the new pilot demonstration that partners the Family Unification Program and the FSS program makes sense – it can make the difference for youth who are leaving foster care and need more time and support to get into stable housing and to develop the kinds of skills that will help them move into adulthood when they are ready. I hope the Housing Authorities that are eligible for this demonstration take advantage of it and learn from it so that they are supporting all youth who need housing and supports, no matter where they come from. 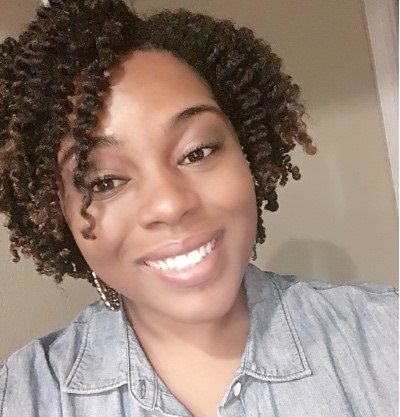 Ms. Jones is a master level social worker and National Foster Youth and Alumni Policy Council member with a strong commitment to impacting system-level change.